It’s been a great year for Marvel fans with the release of some great movies! Next stop, is the highly anticipated Avengers: End Game! This exciting new movie comes to theaters Fri, April 26th! 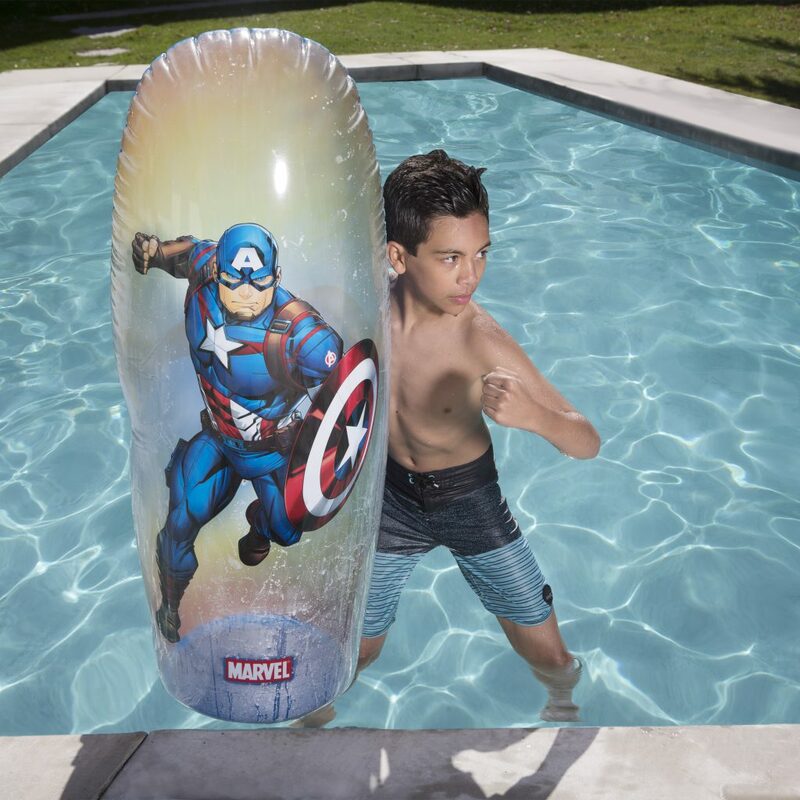 If you’ve got kids who are Marvel fans (or are even a fan yourself), celebrate with an Avengers-themed pool party! 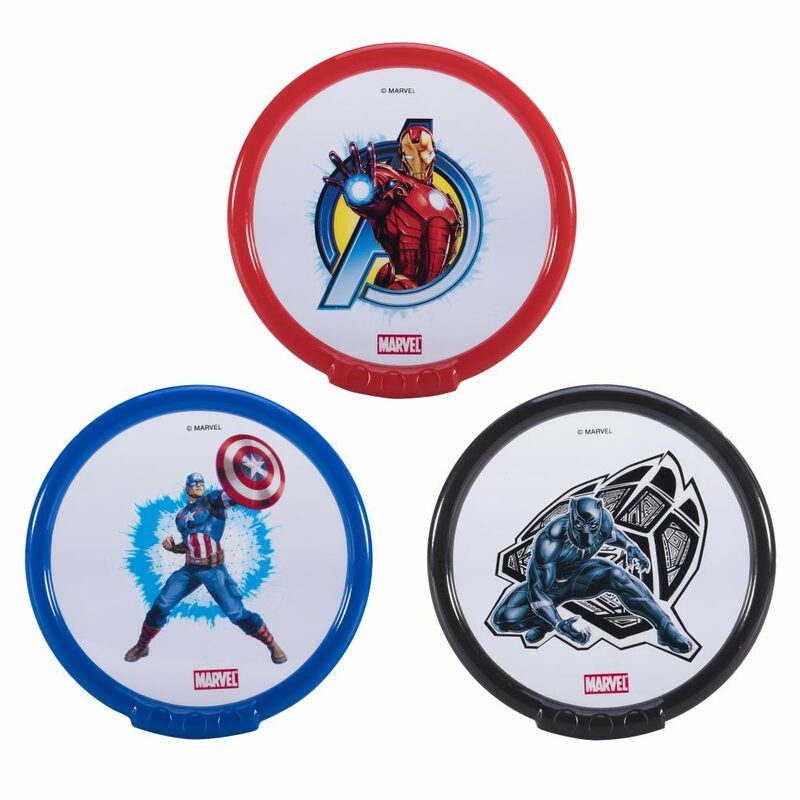 You can go all out with the decorations in the yard and in the kitchen, but we’ve got Avengers-themed decor for your pool! 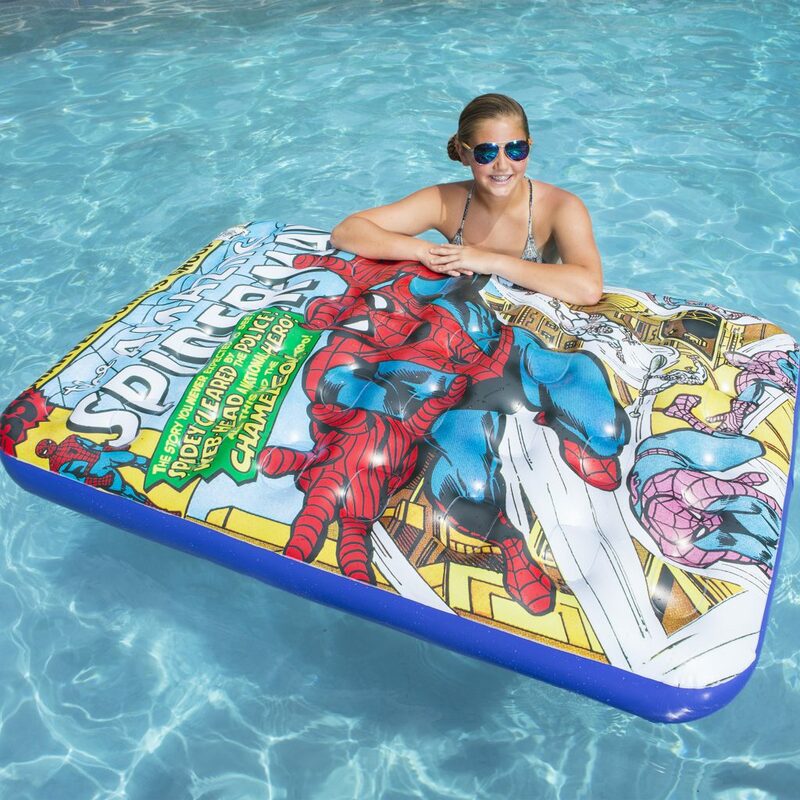 Decorate the pool with your choice of 3 great Avengers characters with our Inflatable Pool Bops! Doesn’t everyone love a good pun?? 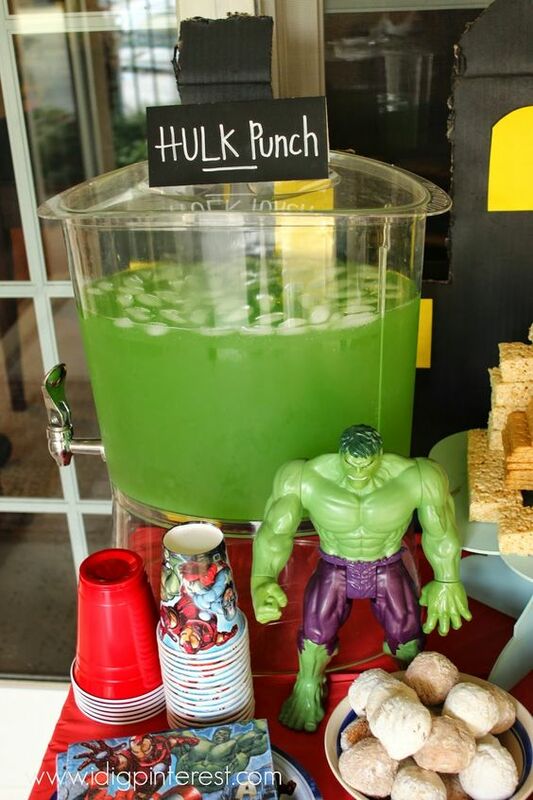 Start the festivities off right with some green Hulk punch! As the guests are arriving, offer them a cup and let everyone mingle. 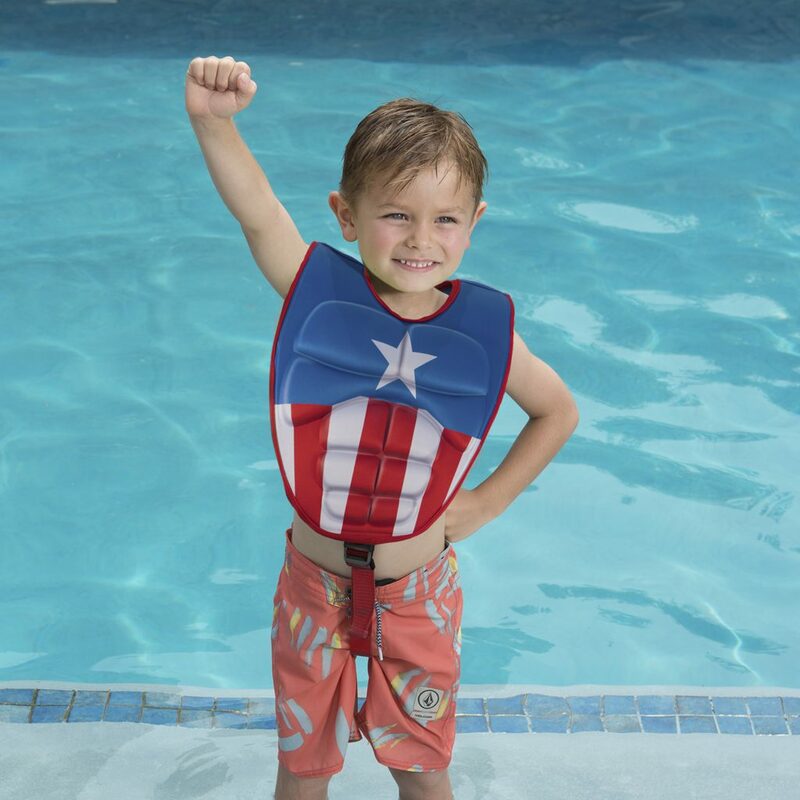 Once everyone is ready to get in the pool, allow the little ones to select the swim vest featuring their favorite Marvel character! 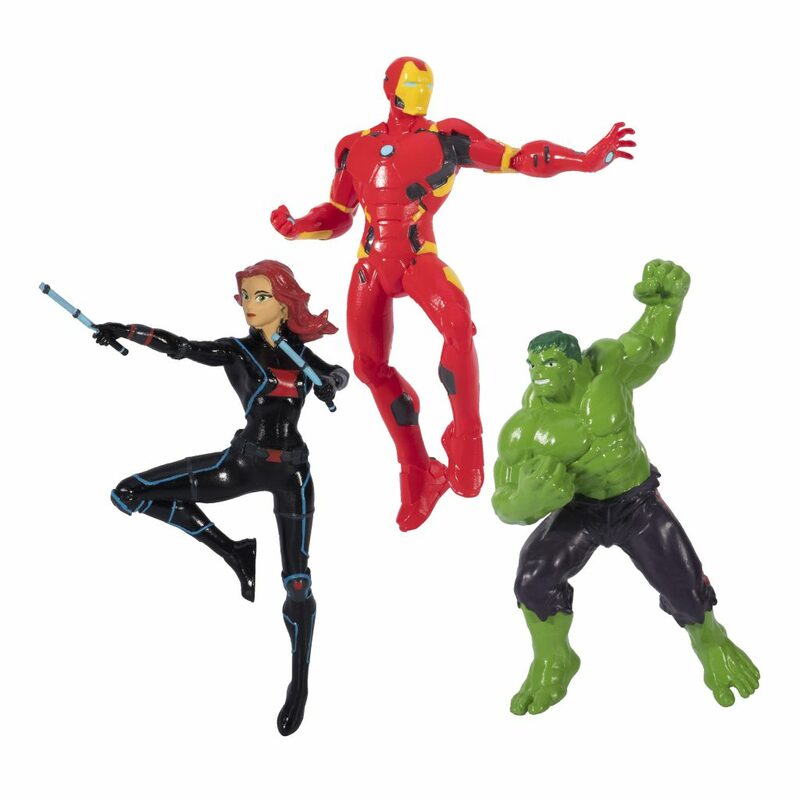 Choose from Captain America, Iron Man or the Hulk! The kids will have a blast surprising their friends by spraying them from up to 10 feet away with the Spider-man and Iron Man Water Whirl Squirters! Here’s a great idea for a healthy snack, that’s easy to make! Drive rings are a great way to get your kids excited about swimming underwater. If your kids have gone through swim training, throw the dive rings in and let them practice their underwater swimming skills to collect them! 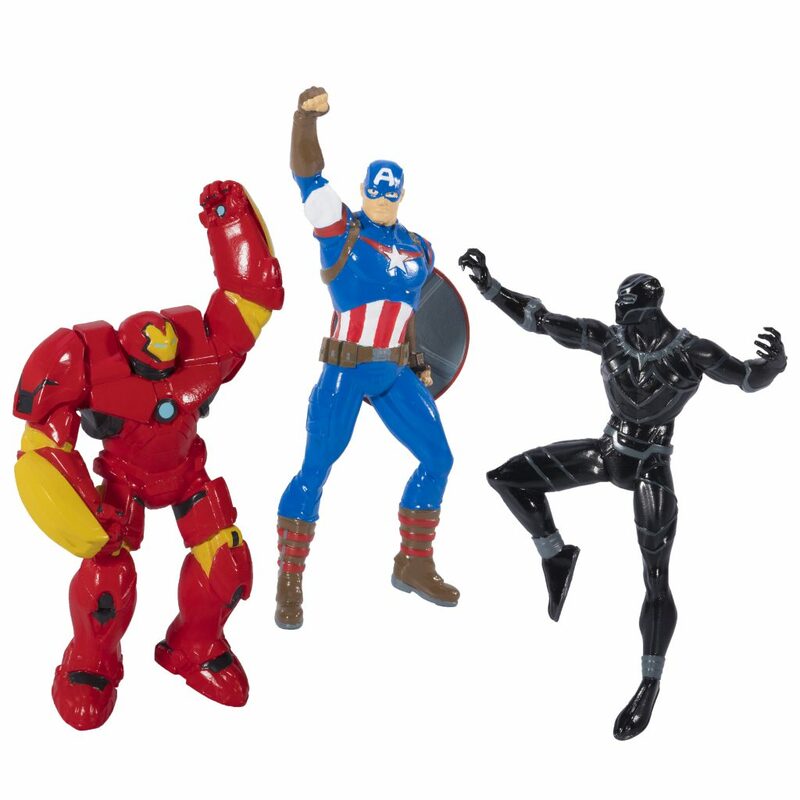 These Marvel dive character toys are great for everyday play at the pool and for encouraging kids during swim training practice. They’ll have so much fun diving to retrieve the characters, and they also love to play with them outside the pool. These are super cute AND super easy to create! This soft and spongy disk features Spider-Man graphics and delivers a spray of water as it soars through the air. 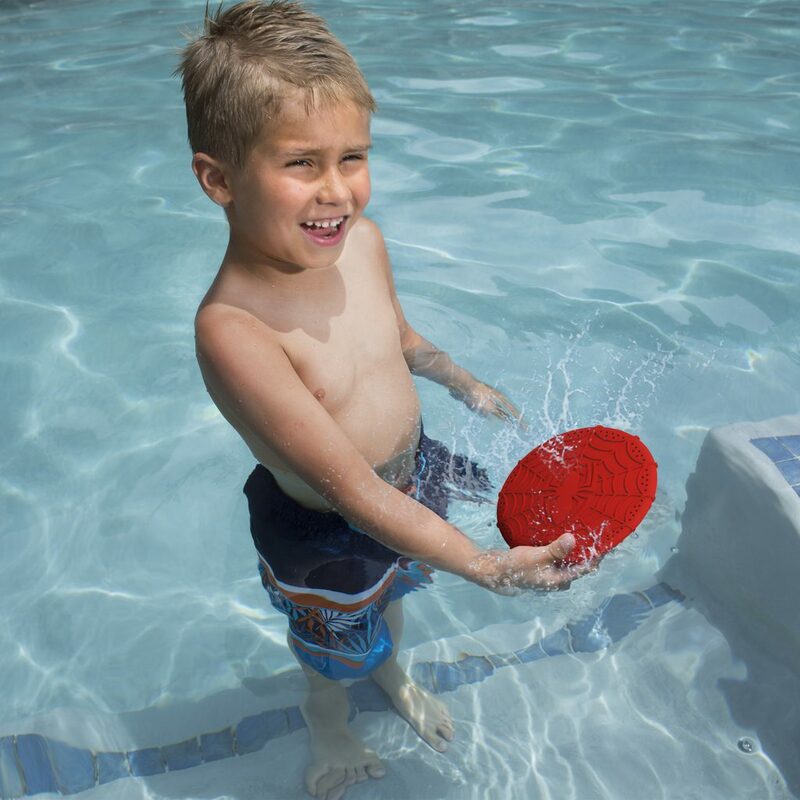 Simply dunk it in the pool to soak up the water and launch to release the 360-degree spray. 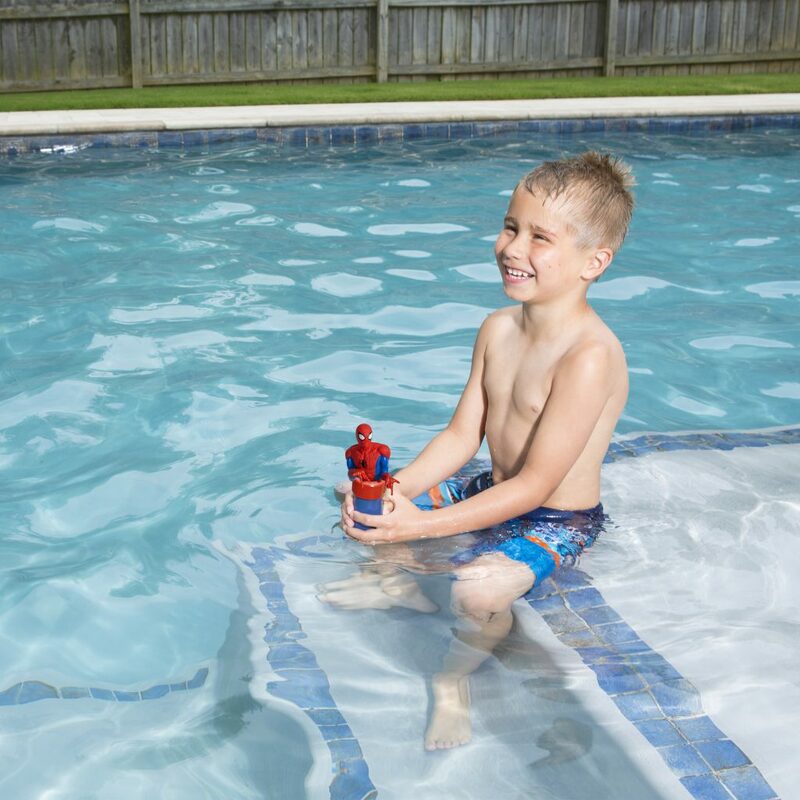 It’s a fun and simple way for kids to stay cool in the pool this summer. 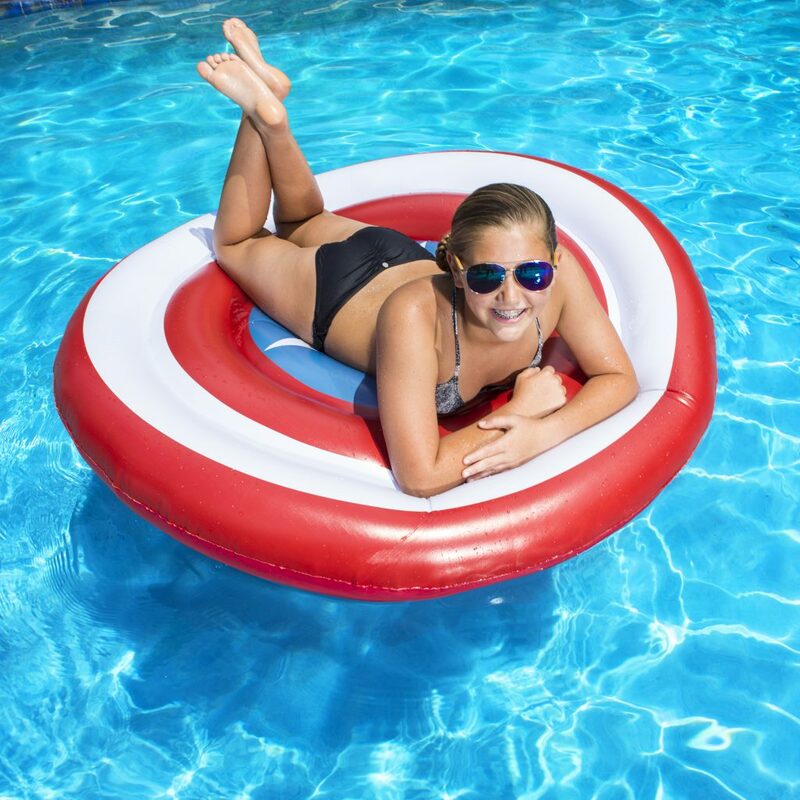 Make some great memories by taking pictures of your kids on these awesome superhero pool floats! 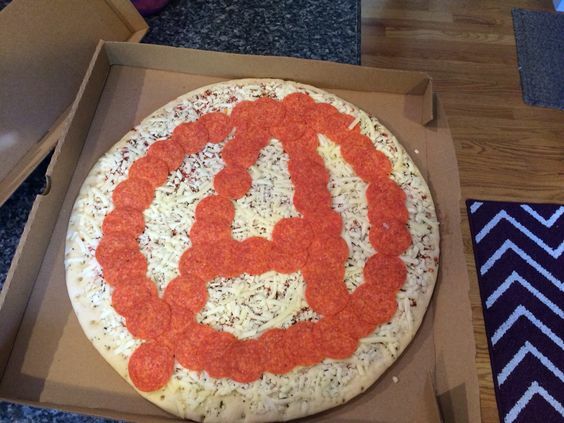 Finish the day with some pizza and a Marvel movie! 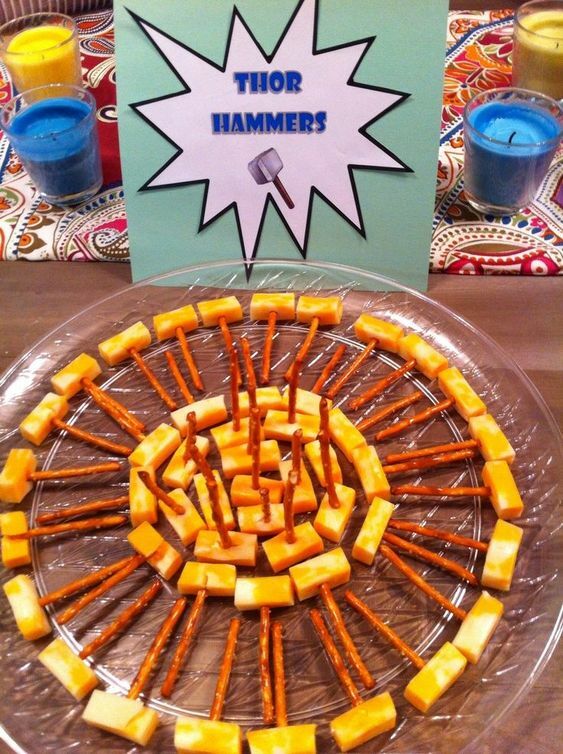 For more Marvel pool party ideas, check out our Marvel Pool Party blog post! If you decide to have an Avengers-themed Pool Party, we’d love to see some photos! Tag @SwimWays on Facebook, Instagram or Twitter!